“Have you come alone to do the trek? Where is your trekking group?” asked a man, as I was walking past him to Ghangaria, carrying my 50-litre backpack and camera. Looking at his shocked expression, I smiled as I answered “Yes.” “No, I don’t have any group. I’m planning to climb alone, let’s see.” I said. His expression turned into a wonder now. 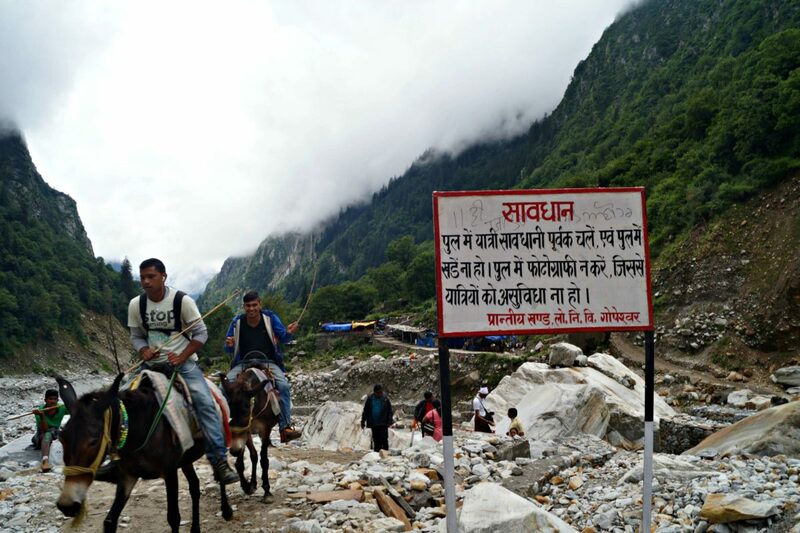 Gurumit and his family from Barnala in Punjab were on a pilgrimage trek from Ghangaria to Hemkund Sahib. “Really? Alone?”, Echoed another guy, who stopped for the conversation. I nodded to him as well, and he flashed a broad smile as if in total disbelief. His brother and his family had joined us by now. I greeted all of them with a smile. The brothers were Sagar and Aniket, and their family had been traveling from Shirdi in Maharashtra, and now going to Ghangaria from Govindghat. His question stirred the fears and doubts in me, which I’d been trying to ignore. 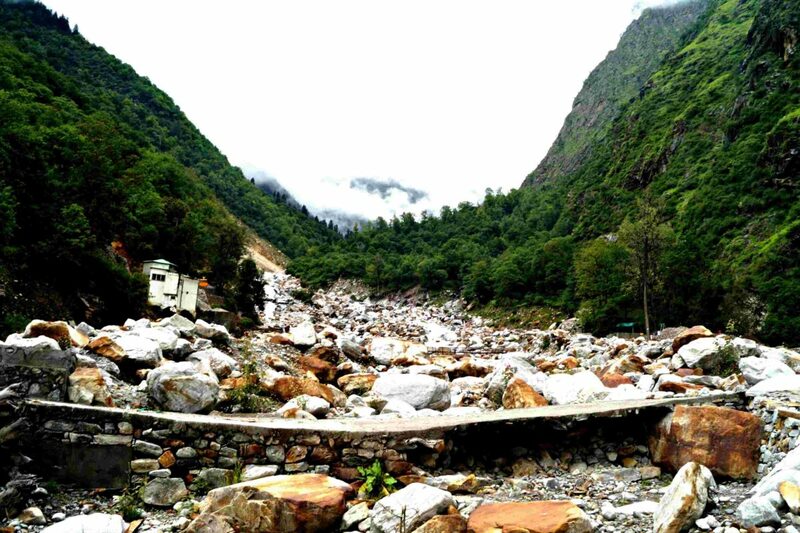 Earlier, I’d registered to do this trek with a group and had cancelled with them at the last moment. I’d decided to do it myself. But, I’d never done a trek alone before. What if I couldn’t climb? 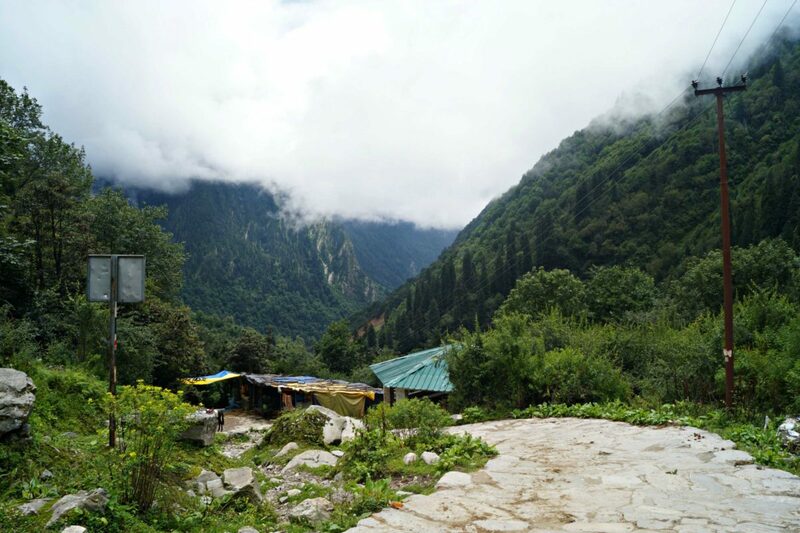 What if I couldn’t acclimatise in the Himalayas? 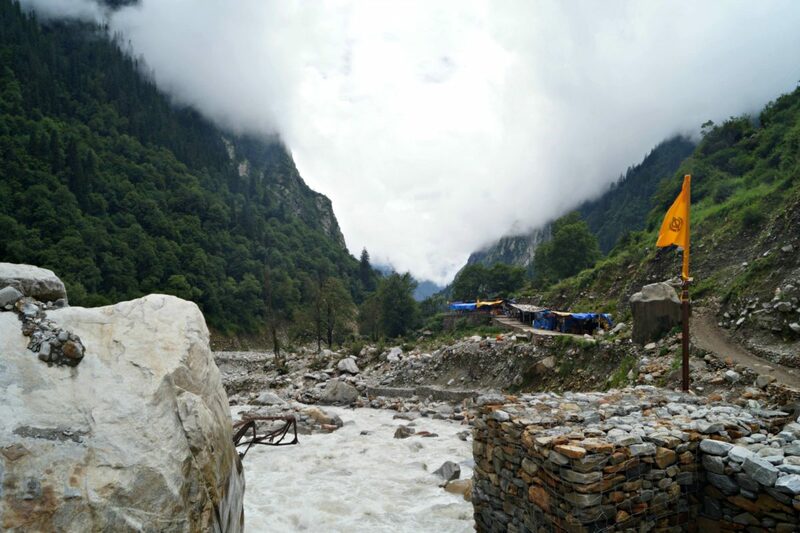 During my previous Himalayan trek, I was unable to adapt to the high altitude and had to cut short the trek. What if history repeats? What if I fail this time too? What if I fall sick in the mountains or collapse on the way? It was time for that prep talk. Like everyone, I have my fears and uncertainty before any trip. Although you can never predict about the encounters on the road, it’s better if you are prepared mentally. So before I set out, I have a talk with myself – I think about ways of handling any unexpected situations or hurdles that might arise. Also, I look back on the experiences, attain the morale boost and I’m ready to go! I said to myself that it is going to be okay. I got back on my feet and moved along. 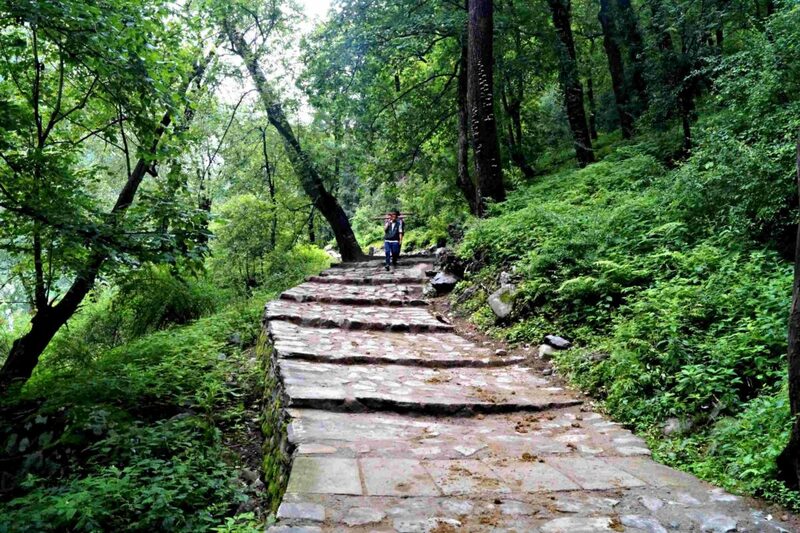 I had just started the trek from Govindghat – a small town en-route. I’d stayed in the Gurudwara for the night there. I woke up at 5 AM, but went back to sleep, as I was already exhausted by the previous day’s tiring journey from Rishikesh. Finally, I got ready, offered my prayers in the Gurudwara, thanked the folks and headed towards the bridge outside the town. Private Jeeps take people up to Pullang, a village further ahead at about 4 km. It’s about a 10 km trek from there to reach Ghangaria. I entered my details with the police officer, who also took my dad’s details as I was traveling alone! So much for traveling solo, I thought. 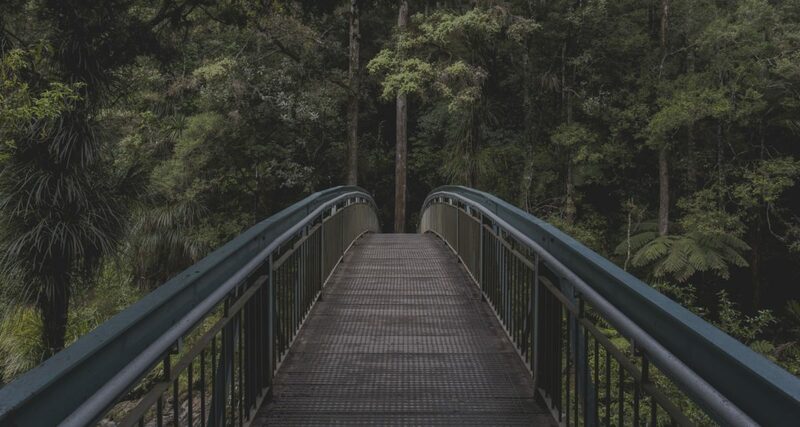 The Jeep crossed the bridge, and the driver negotiated with the steep uphill curves with ease. In less than 10 minutes, I was standing at the entrance of the route. 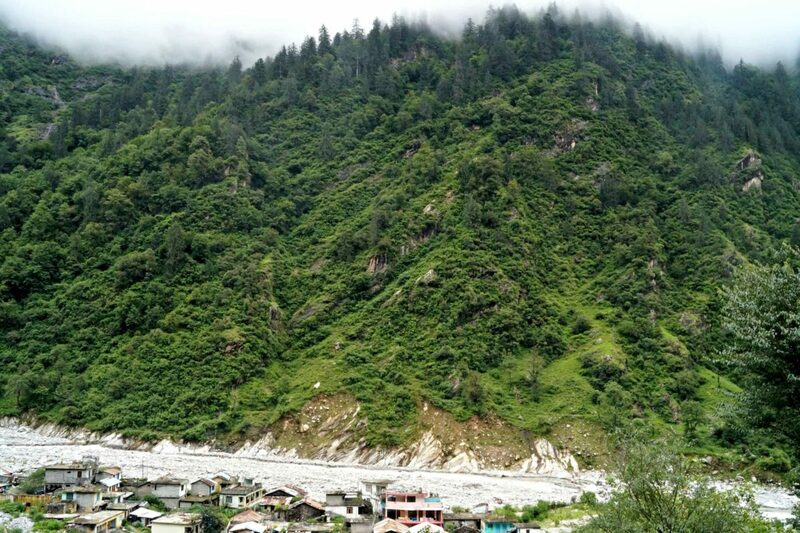 The Ganga river flowed with elegance on my right, and a few houses stood close to it on the banks of the river. To the other side of the bank, the mountains towered. 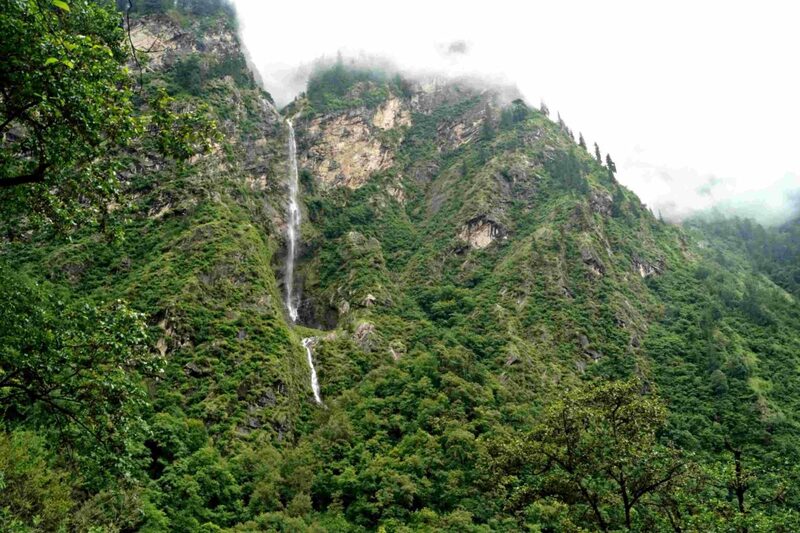 The peaks hid behind the clouds, and from the peak at many places, waterfalls emerged looking as if they were coming from the sky. Birds cooed and pruned their feathers. Some of them were flying very high, close enough to touch the peaks. The road to Ghangaria certainly looked like the one to a paradise. Birds always evoke a pang of jealousy in me – They have wings of freedom – to fly wherever they wish to. Soaring high is such a liberating feeling. Isn’t it? My backpack was wearing me down. I was stopping frequently for some time to catch my breath, which also led me to capture some wonderful shots. Later, Sagar and Aniket, who were ahead along with their family, offered to carry my backpack for some time. I tagged along with both the families gradually. As we were from different parts of India, conversations about our distinct cuisines, culture, and the customs came up. Gurumit said, “We consume 8 to 10 litres of milk every day at home! We can’t imagine our lives without Lassi, and yes, Ghee is our cooking oil! I was like, 8 Litres? Unbelievable! They exchanged the food packed from home. I’d the food too. Surprisingly, Gurumit and his family felt the food from Maharastra too spicy. The trail seemed lengthy and tiring. The weather still looked cool, and I’d caught up on my breath lesser times as I ascended. The conversations kept flowing. They spoke about the icon of Maharashtra – Chatrapati Shivaji and Guru Govind Singh. We talked about traveling in India and some more about our heritage and culture as we were nearing the little village of Ghangaria. I saw many people who were climbing on horses and mules. 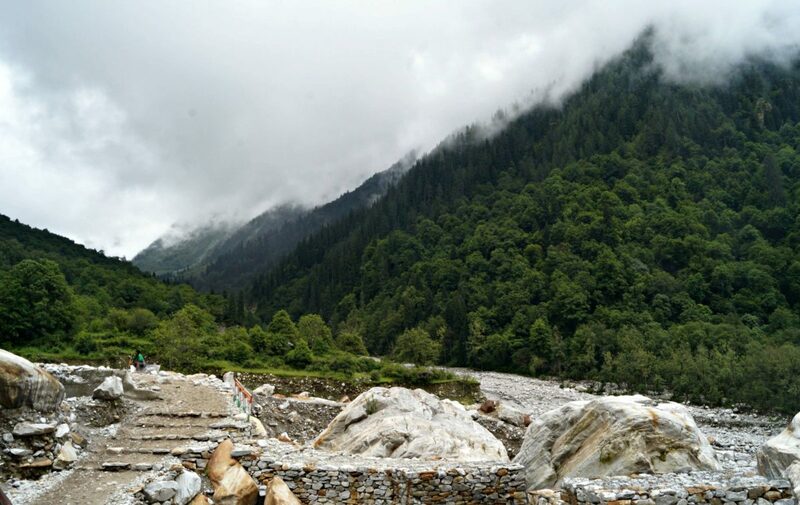 At several places, the waterfalls surfaced – white pebbles of all sizes formed the carpet for the mighty Ganga, who had conquered the mountains with her fierce. At a few places, narrow streams gushed to join other rivulets. 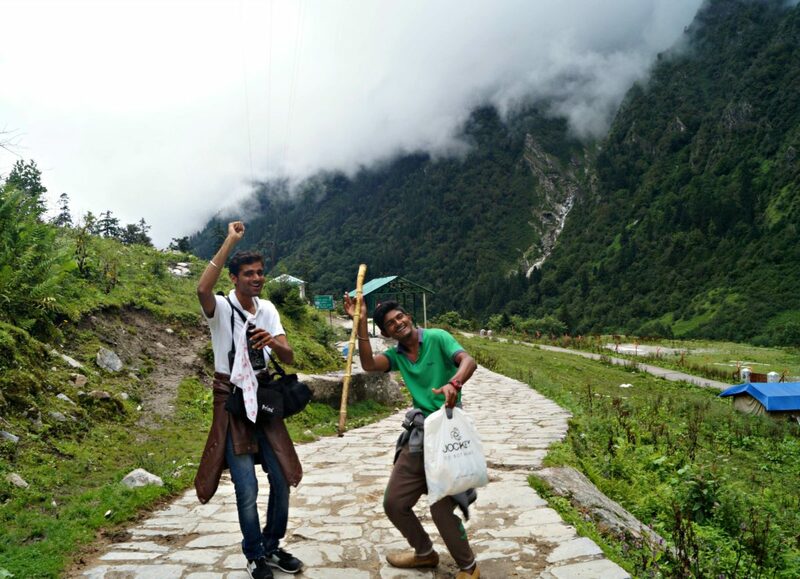 Aniket and Sagar celebrated the little milestones of the trek with their trademark dance steps. They danced to the tunes of Punjabi, Marathi and of course, the quintessential Bollywood music. I couldn’t resist their sheer joy and wanted to capture their smiles. They posed for me readily, adding more stylish moves! By the time I made it to the village of Ghangaria, it was around half past three. The cold wind blew on my face welcoming me. 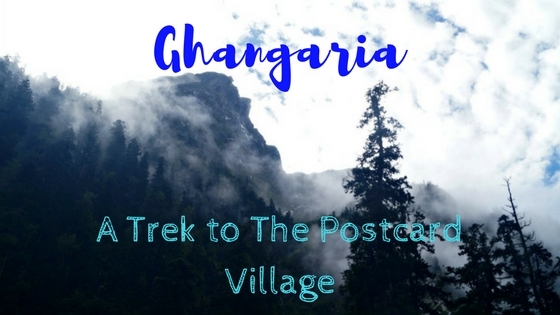 With the wooden homes, lush green mountains in the backdrop and the clear sky above, Ghangaria emanated the rustic old-world charm of a village. People that came along, the conversations, the reverberating roars of the Ganges and her vigour – it was a memorable first day of the trek. Reaching the gorgeous Ghangaria after a long hike that felt like walking into a postcard, made it all worthwhile. For someone who’d began the journey with hesitation, I couldn’t have asked for more. PS – Never carry a heavy backpack while starting from Ghangaria. It becomes very tiring as the path is entirely uphill. Minimise the luggage as much as possible. If you really can’t avoid the baggage, It’s better if you pay for the horse to carry.